Sporty and fashionable often do not go hand in hand in my fashion dictionary. Up until recently, I didn’t even own a pair of sweat pants. But people do change, and since I’m a firm believer of trying out new things, I get better at channeling my inner sporty self by the day. As it turns out, luck is on my side, because sporty fashion brandPuma has created a fun night out where you can mix sports with cocktails and great music. 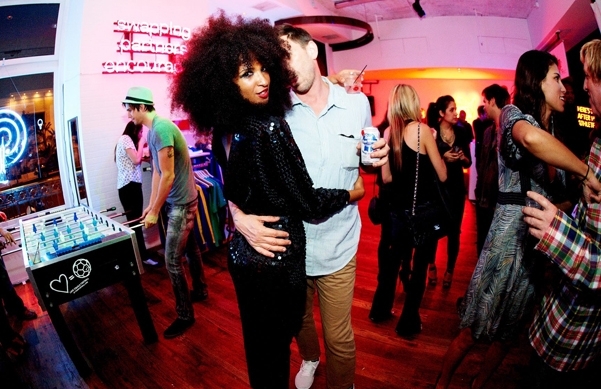 Allow me to introduce you to a new phenomenon: The Puma Social Club. According to the lovely people at Puma, a victory does not always come in the shape of a winning goal or homerun. Sometimes, a victory is as simple as scoring that much lusted after phone number on a night out. 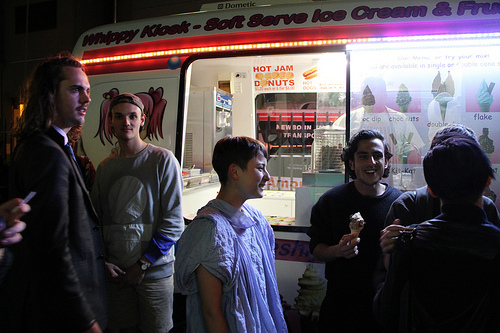 That is why Puma and Vice joined forces to create the perfect spot for the ‘After Hours Athletes’. On the 28th of April, the Westerunie in Amsterdam will be transformed into a modern, sporty lounge, complete with chalkboards, wooden floors, neon lights and comfy chairs. While listening to (inter)national tunes of Martelo (Santigold’s resident DJ), The Flexican and Skip&Die, you can challenge your mates for a classic game of mini-ping pong, darts or fussball. Although Puma Social Club is mostly about the sweet taste of victory and the torture of losing, it’s above all a night to chill out with a few drinks, listen to some funky sounds and just relax. Tickets for this event are free, but only available through application and subject to a selective drawing. That’s why we teamed up with Puma to make sure you guys can join in on the fun as well. All you have to do is to click here and apply for the tickets using the following motivation: Overdose Amsterdam. Easy, right? Don’t let me be the only sporty rookie out there, and come join me on the 28th! 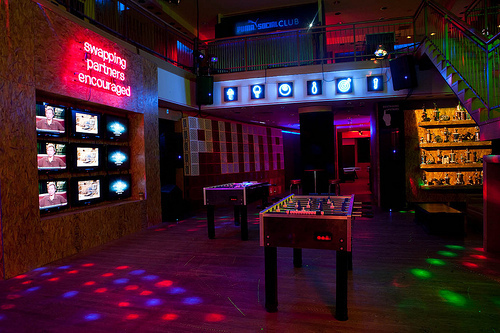 Previous locations for Puma Social Club included Sydney, Manila, Berlin and China.